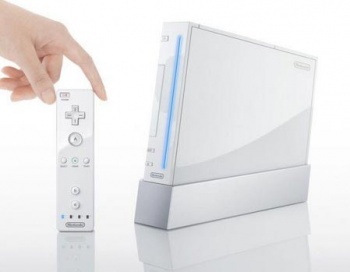 Nintendo might be planning to make the Wii more affordable in May 2011. With Wii sales declining in recent months, Nintendo may have decided it's time for another price cut. A rumor going around states that the console will be dropped another $50 by mid-May. A "trusted source" reportedly told Engadget about the cut, which would bring the Wii to $149.99 on May 15. If true, it'll satiate the desires of publishers that have been calling for such a cut. The cut would only be the second since the Wii's launch at $249.99 in November 2006. Nearly three years later in September 2009, Nintendo dropped to console to its current MSRP of $199.99, another price slash that was first spoken of in rumors before an official reveal. The Wii has been somewhat of a mystery lately, with a lack of first-party titles leading to speculation that a Wii 2, or similar successor, is on the way. Nintendo only has Legend of Zelda: Skyward Sword, Wii Play: Motion, and Mystery Case Files: Dust to Dust in its current lineup. A Wii price cut, especially before E3 2011 which runs from June 7-9, might herald the announcement of a new console. Whether it does or not, a cut is a good idea to get things rolling again for Nintendo.